One of the major themes at a statewide conference this week for recovery court personnel was stigma. There are currently 49 recovery courts in 22 counties across North Carolina designed to work with people in the criminal justice system who have a substance use disorder. There are specialized family drug treatment courts, adult and youth drug treatment courts, DWI courts, mental health courts, veterans treatment courts and a tribal court. 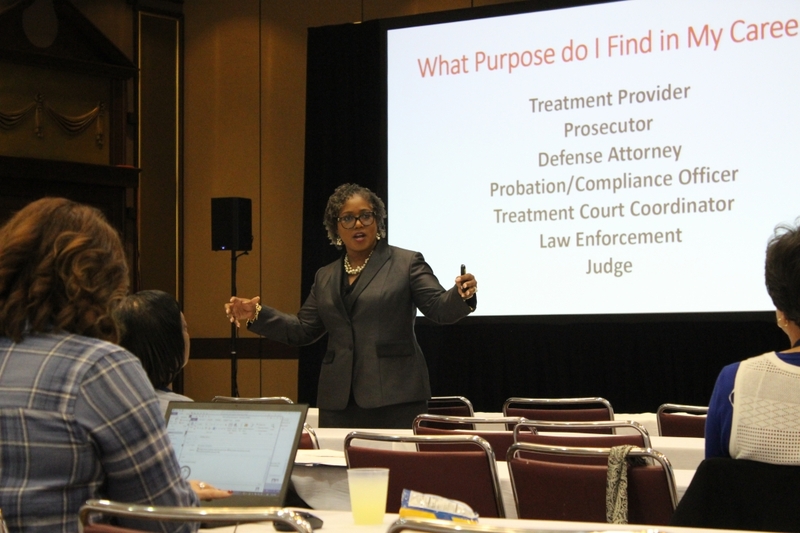 McDonald presented a training course about how the people working in those special courts could address addiction recovery by eliminating stigma, changing their language around substance use and advocating for their clients. He said after his presentation that stigma discourages people from seeking help when they need it the most and limits the resources available to them. By raising awareness and teaching people to use a new language, it helps reduce that stigma. McDonald, a Navy veteran and former teacher who holds a masters in social work from UNC Chapel Hill, also shares his own personal journey with mental health and substance use disorders. He has been in recovery 14 years. “Our stories have power to change people’s perception of who is impacted by addiction,” he said. He was one of several people who presented at the conference, which was all about treatment, education, accountability, manageability and sustainability. 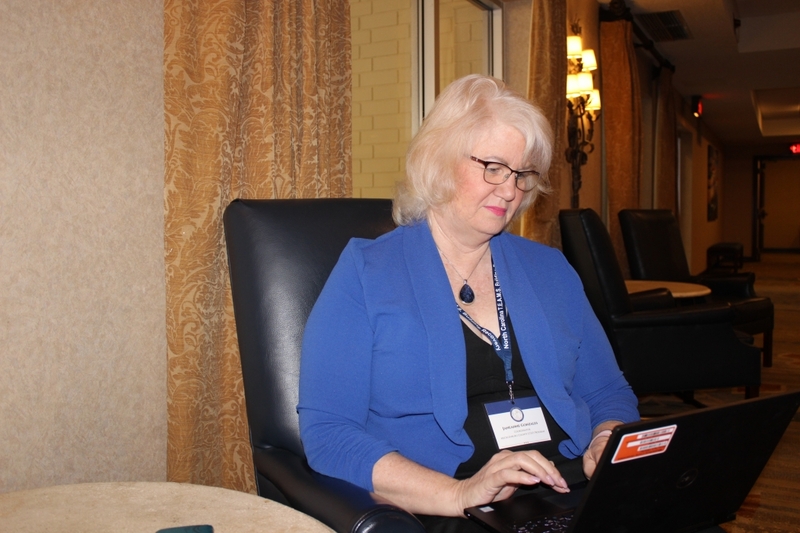 About 320 people attended the conference, which was held in Greensboro and sponsored by the North Carolina Administrative Office of the Courts and the National Drug Court Institute (NDCI). Janeanne Gonzales, who is a program administrator for the drug treatment courts in Mecklenburg County, said the networking and learning opportunities at the conference were invaluable. She said it was also a chance to make sure the recovery courts across the state had the same foundation upon which to build and were all striving to meet the same end. MAT is the use of FDA-approved medications, in combination with counseling and behavioral therapies, to provide a “whole-patient” approach to the treatment of substance use disorders, according to the Substance Abuse and Mental Health Services Administration. Some drug treatment courts across the nation take a sober-only approach to helping individuals with addiction, often only accepting participants who have been drug and alcohol free for a certain time period, but that is considered prohibitive, according to one of the presenters at the conference. Vanessa Price, NDCI Director, said during a presentation about addressing disparities that if someone can stay sober for 14 days on their own, they aren’t high-risk in high-need of the resources a drug treatment court has to offer. She encouraged recovery court personnel to evaluate their admission requirements and readjust to even the playing field for everyone no matter their race, socioeconomic status, gender or other factors. She told attendees to ask themselves if they were serving their own children or loved ones if they would want someone advocating for them the way they were advocating for their participants. 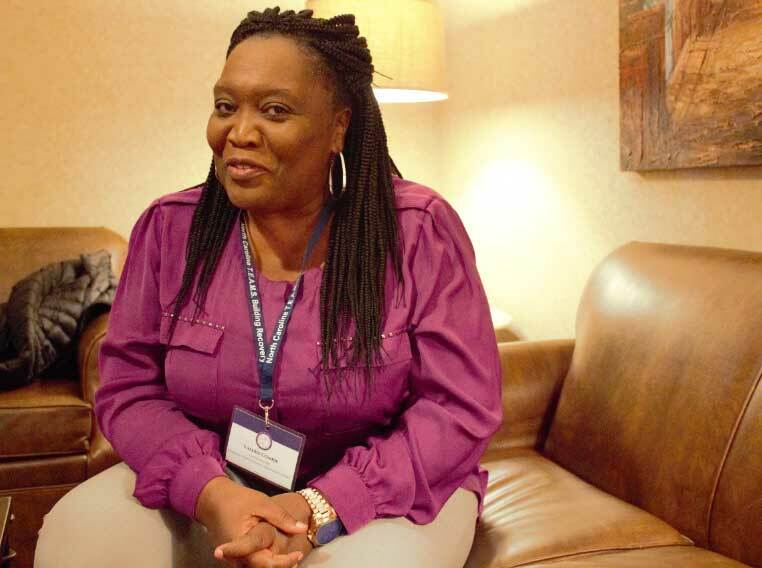 Price addressed stigma and mindsets about “drug of choice,” and she, like McDonald, advocated for people in the recovery court system to pay attention to their language and recognize the impact they can have on participants – especially judges. Recovery courts in North Carolina haven’t been funded by the state in seven years. All of the current programs are sustained by federal grants or funding from local cities and counties. They are programs communities should want to buy into – Price said the estimated cost of drug use to society is $6,120 per second and that more than 80 percent of crime is drug or alcohol fueled. Throwing people in jail doesn’t work, she added. Gonzalez from Mecklenburg expounded, noting that recovery courts get at the heart of why people are involved in committing crimes. “In order to save taxpayers dollars and create an increased amount of public safety for our residents, we work with those who have substance use and alcohol disorders in order to keep them from coming back into the system,” she said. She added that the recidivism rate with recovery courts in Mecklenburg is about 14 percent, which is considered quite low. The county has every type of recovery court, except a veterans treatment court, and they treat about 900 people per year. Valerie Comrie is the family court program coordinator in Robeson County, which works with parents who are at risk of losing custody of their children in part due to substance use. They have about a 36 percent graduation rate, but Comrie said the program makes so much more of a difference in the lives of even those who don’t make it through. She explained that the recovery courts require collaboration among professionals from many disciplines – the criminal justice system, child welfare, mental health and more – to work in the best interest of families. The conference, Comrie said, allowed those in the recovery courts to get national real-time information about what’s happening in the world of substance use and to evaluate their programs to reflect best practices. She added that there would be so much more to offer with better funding. Previous article Call Trump’s migrant caravan panic what it is: Out-and-out racism.